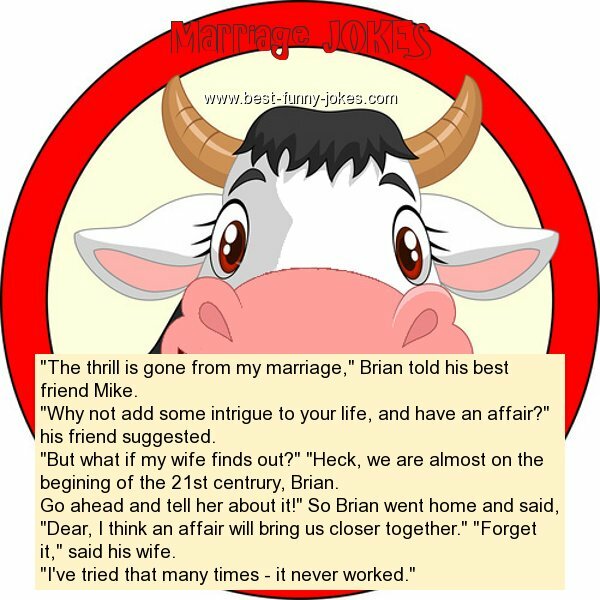 "The thrill is gone from my marriage," Brian told his best friend Mike. "Why not add some intrigue to your life, and have an affair?" his friend suggested. "But what if my wife finds out?" "Heck, we are almost on the begining of the 21st centrury, Brian. Go ahead and tell her about it!" So Brian went home and said, "Dear, I think an affair will bring us closer together." "Forget it," said his wife. "I've tried that many times - it never worked."